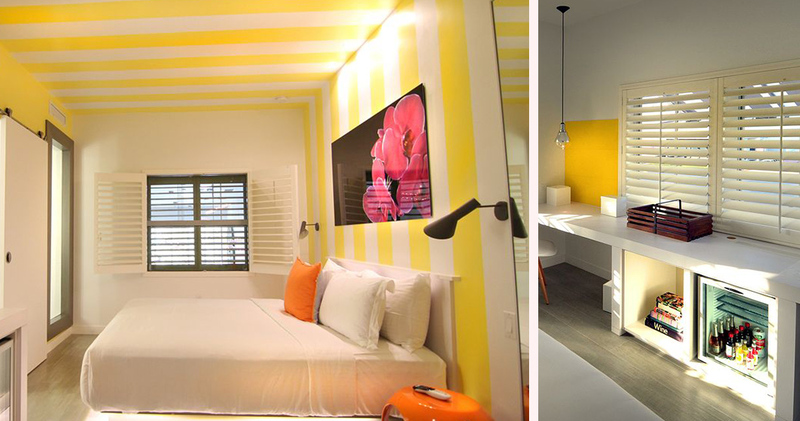 With a focus on international wines, Vintro Hotel and Kitchen provides a relaxing escape exclusively for adults. 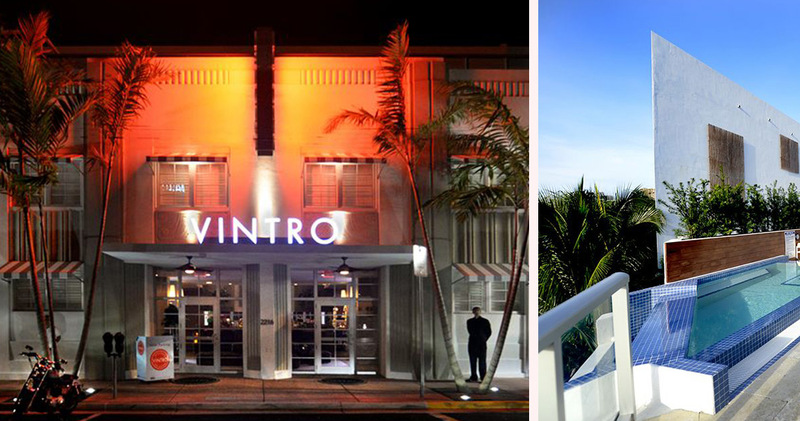 In the heart of the cultural art district, Vintro Hotel and Kitchen is the perfect escape from the daily grind. 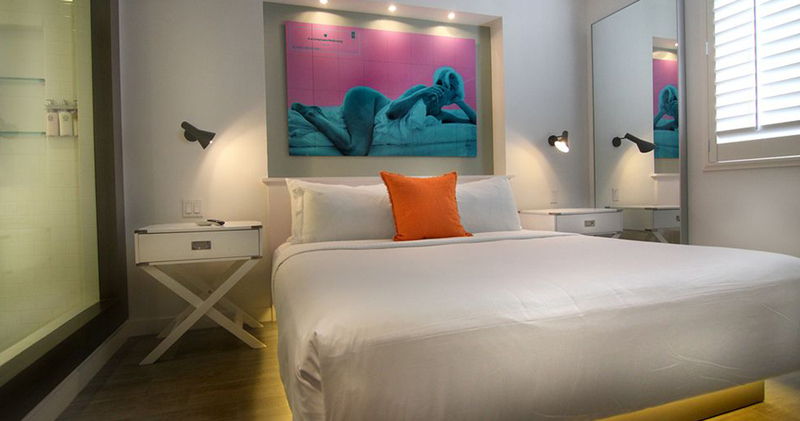 With its classy Art Deco facade, the hotel is a welcome addition to the trendy streets of South Beach. Upon arrival, guests are greeted by a soaring wine wall, symbolic of the hotel’s focus on international wines. This striking display is surrounded by white oak and splashes of rich burgundy. 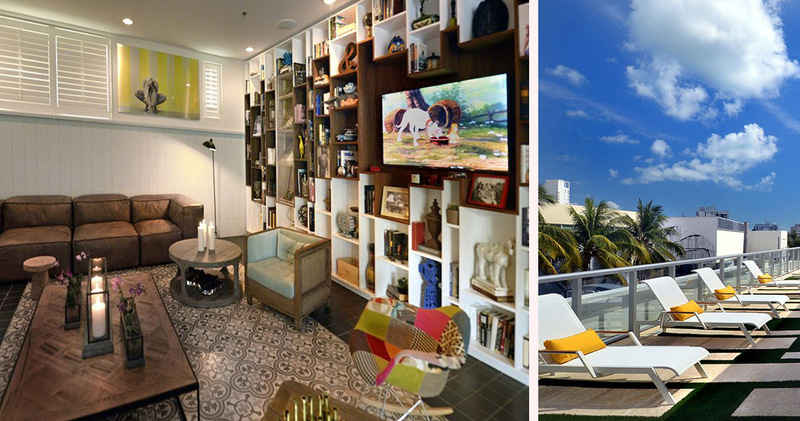 Vintro Hotel and Kitchen Miami Beach also features a stunning rooftop with a freshwater pool. 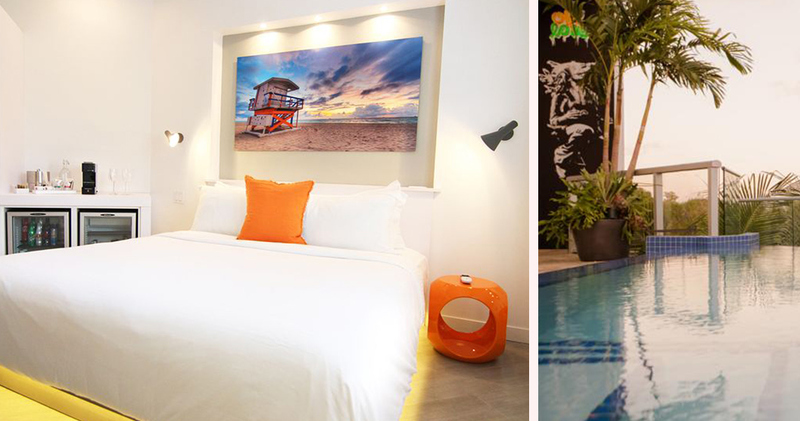 Here, guests can enjoy a refreshing dip or soak up the sunshine on a comfortable sunbed. 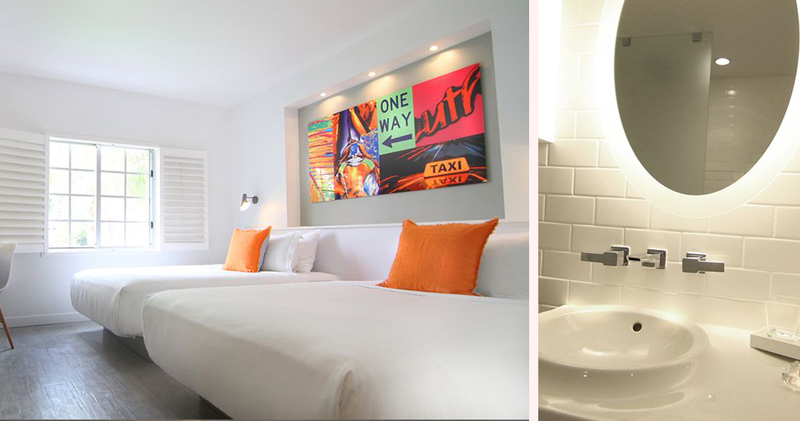 Although recently restored, the guestrooms at Vintro Hotel and Kitchen retain much of the classic Art Deco feel. 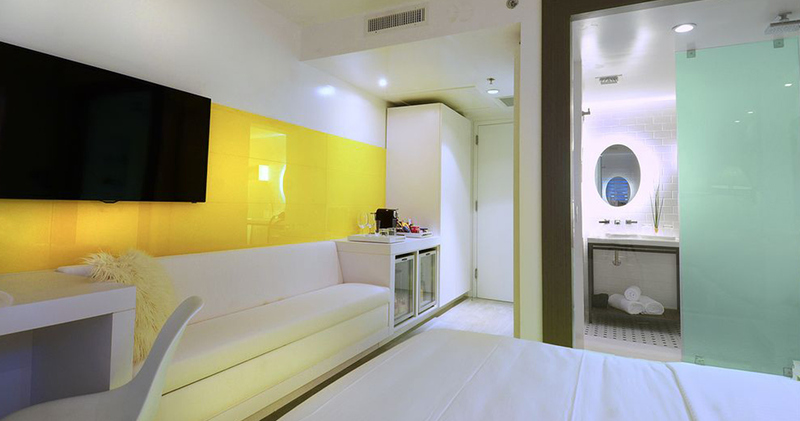 Providing the perfect setting for relaxation, all rooms are equipped with a range of luxurious amenities. 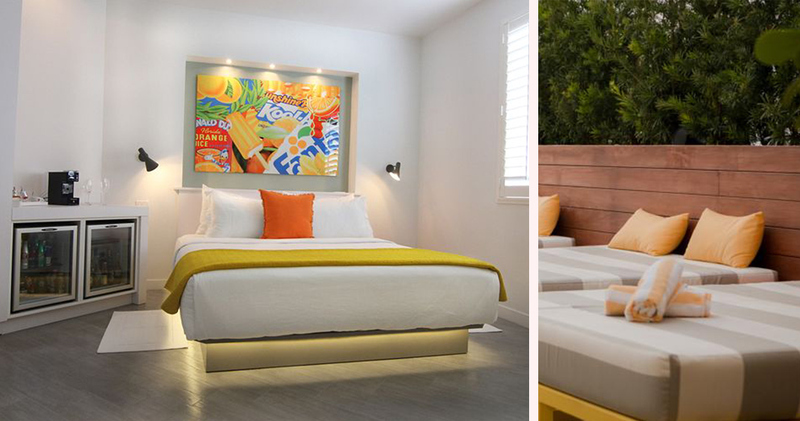 A radiant, citrus colour palette envelopes each room in a warm, golden hue, and original artworks add artistic interest to the walls. The spa-quality bathrooms feature invigorating showers, natural bath products and sumptuous towels and robes. 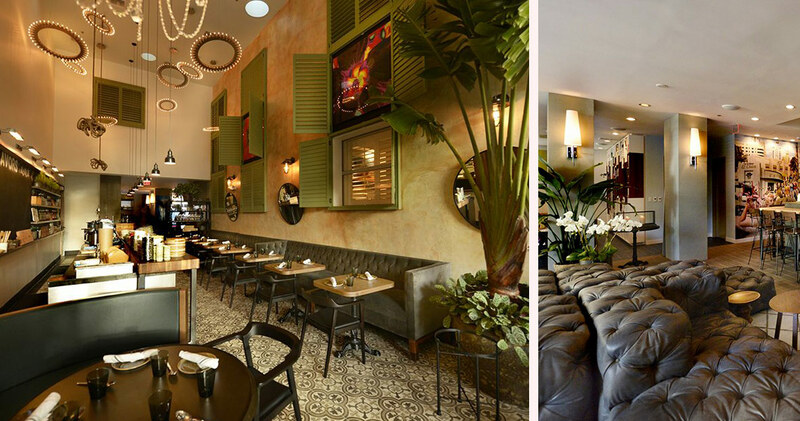 Vintro Kitchen is a vibrant mix of both old and new, sophistication and simplicity. With a menu that is designed for sharing, Vintro Kitchen serves an extensive selection of Mediterranean fare, inspired by fresh Latin flavours.